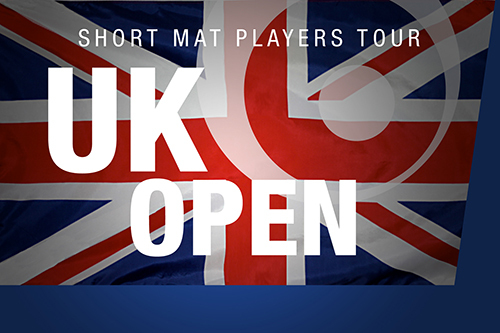 As the excitement builds ahead of the start to the new SMPT season, we take a look at some of the players worth keeping an eye on at this year’s UK Open! The former UK Open Champion back in 2013, Joe has found a winning formula at Bromsgrove Indoor Bowls Club, where the quick mats on the indoor rink have served him well. Indeed, two out of his three ranking titles were secured at this very venue. Whilst in more recent times he has endured a lean spell by his high standards, Joe boasts a win percentage of 84.21% at this event and is one of only 7 players to win over 100 games at ranking events. A quiet man on and off the mat, do not bet against Joe getting to the latter stages of the Cup knockout. The defending UK Open Champion, Gary McNabb won 10 out of 11 games on the way to victory in his one and only appearance at this event, last season. The 2016 UK Open will be the 24th SMPT ranking event but as of yet no player has ever retained their crown. Will Gary, now a serial winner on the Irish tournament circuit, be the one to make SMPT history? One player who will be looking to deny Gary will be his Group 9 opponent, Ed Sawbridge of England, himself a former National and British Isles Champion. Ryan Knight has only played in 3 ranking events but his last outing at the English Masters in 2015 saw him record his best performance to date, as he reached the last 16 of the Cup where he lost to the eventual runner-up. That event proved a good indicator of Ryan’s pedigree as he then went on to become the ESMBA National Singles Champion in April 2015. Ryan simply loves playing short mat bowls and he will relish the tough challenge posed by World Cup Captains Lee Toleman and P. J. Gallagher who await him in Group 1! The current Irish Open Champion, Dimitri Payne, is arguably the most committed competitor on the Short Mat Players Tour. Having featured in all 23 previous ranking events Dimitri has played more games (178) than anyone else. With the late withdrawal of Mark Beattie, Dimitri will be desperate to maximise the opportunity to close the gap in the world rankings, in pursuit of his ultimate goal to top the standings. Adam Smith is one of 19 players making their ranking event debut at the UK Open 2016. An integral part of the Cheshire side that has dominated the Inter County Championship in England over the last decade, it will be interesting to see how Adam fares on his first SMPT experience. He faces intriguing encounters with talented young Swede Magnus Nordin and seasoned Scottish International Lawrence Moffat, in what will no doubt be a keenly contested Group 23. Out of the 24 groups making up this year’s event if there is a so called ‘Group of Death’ this could well be it! Welshman Andrew Jones, a former World and current British Isles Champion, is joined by English young gun Dan Winmill, who at 29th is the highest ranked player in Group 6. Accompanying them are Ireland’s Marty McNichol whose SMPT personal best was his 4th place finish at April’s World Masters, and England duo Stephen Proctor and Stephen Holdsworth. With an average win percentage of 68.76% any of these 5 will do well to qualify for the Plate competition, let alone the Cup knockout! We finish our ‘Ones to watch’ preview with Group 17. Everyone has their own personal goals when entering an SMPT event. For the Cornish trio of Tom Westlake, Peter Hore and Elise Daniel the goal might be to finish best of all the players from their county! But with Swedish starlet Victor Andersson added into the equation Cornish representation in the Cup competition is by no means a certainty. As always you will be able to see all the results as they come in, you can view the constantly updated group tables and you can catch up on event highlights and listen to player interviews via the live feed on our website.